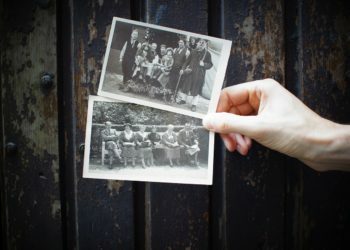 Locating the names of parents is one of the most important jobs of any family historian and we all spend a great deal of time looking for records to do just that. But, as we all know, it’s not always an easy task. Parents can be surprisingly elusive — mysteriously missing from key documents. In addition, verifying that we have actually found the correct parents for an ancestor can be an even bigger challenge, especially if our ancestor had a common name. To locate the correct parents for our ancestors we must find a source that is reliable and that lists enough information for us to be sure that we have the right person. Since we know that we can locate parents in vital records, this is often the first place we look. 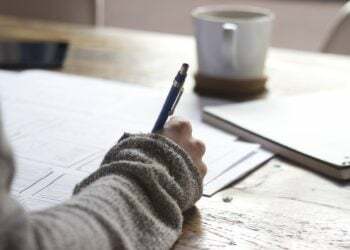 Marriage records can be especially helpful in accurately connecting to the next generation since a person’s spouse and parents are often listed on the same document and because, often, the parents were still alive when the record was created. This can mean more reliable information. 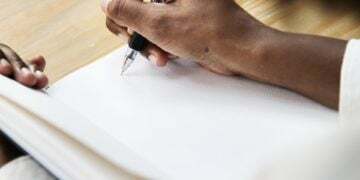 Death records, such as a death certificate, transportation of corpse or a will often also list parents and the information can then be verified via other sources, such as a birth record. Of course, the information found on marriage and death records should be backed up with additional sources since parents’ names (and especially spellings and maiden names) can be incorrectly listed. To further verify the information we find on vital records, or to locate parental information when a vital record is unavailable, we need to look to additional sources. Luckily, there are several lesser used records that often list parents. These sources will likely need to be used in combination with one another, and along with other sources, to create a complete and accurate parental determination, but they can be a huge help in our journey to add another branch to the family tree. At the very least, they can usually provide valuable clues to help us extend our search options. You probably already use the census to find parents. By finding a child listed with their parents when they are young we can add all kinds of wonderful information to our tree and start to build a clearer picture of what our ancestors’ life was like. But what many people overlook is that parents can often be found when the “child” is an adult as well. 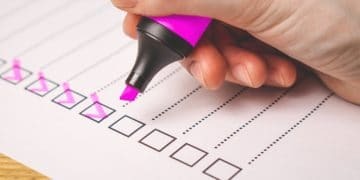 If you are unable to identify the correct childhood census records for your individual do to lack of information, try more closely examining the census records you already have for them as an adult. The first, and most obvious thing to look for is a mother or father living with the adult child — but, less obviously, parents and siblings may be living next door or in the same neighborhood. Look closely at the page your ancestors are found on, and on the pages before and after, to examine a neighborhood. Looking for a matching surname makes sense, but also look for people with shared first or middle names as this may point to family relationships. Although you will not be able to determine a parental relationship using this method alone, potential matches can be researched more closely to see if they may fit. Just make sure that you find solid sources for any possible connections — use assumptions only as clues to give you more research options. In the example below you can see our target family at the top of the page. If we had simply recorded this information and moved on we would have missed the parents, listed with two siblings, living nearby. Of course, we had to do some additional research to verify this connection but the names gave us the information we needed to find just that. City Directories are probably one of the most helpful, and perhaps simplest, record sources to locate parents in when you cannot find them in more traditional sources. Many towns and cities completed directories every year and, often, you can find these directories online or at a local historical society or library. 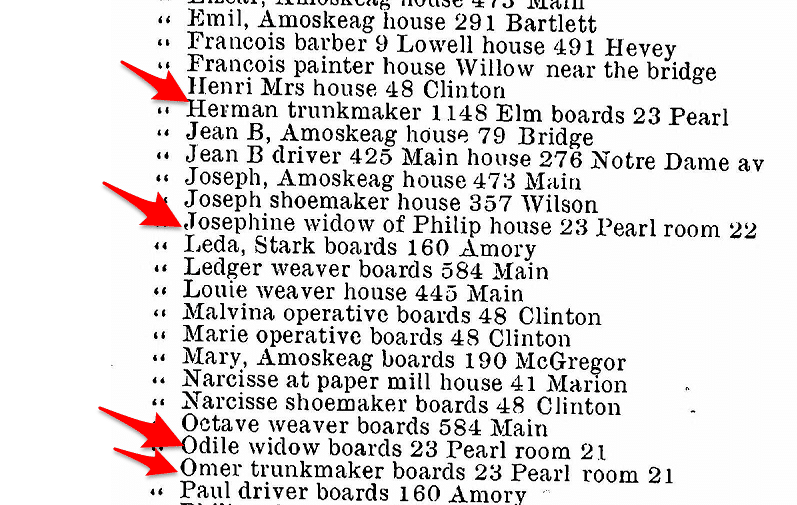 Because directories were organized by surname, if you can find your ancestor you can very likely locate related individuals quite easily — even if they were not living in a neighboring house. 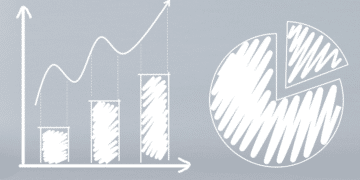 Individuals’ addresses, occupations and, sometimes, relationships to one another are listed. And because directories were published more frequently than the census you can often find information you need in those missing years. 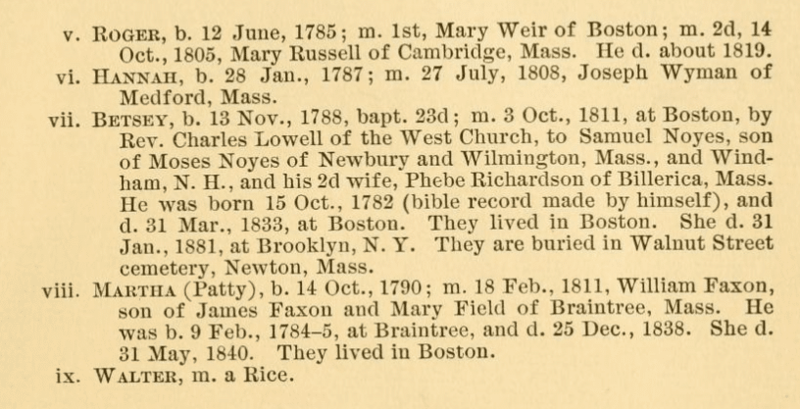 Use the names you find listed along with your ancestor as clues to extend your research. 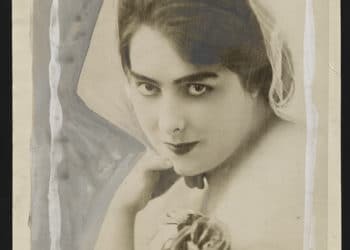 Don’t assume that people with the same surname were related – they very often were not — but do follow up on these people and see if you can find a connection. Below is an example of a directory from 1906 in Manchester, New Hampshire. The red arrows show those people who are clearly related to each other based on their surname, address and occupation – one of them is the widowed mother to our target person, Josephine. Some additional research and verification proved these connections and provided a whole new family line. Further examination of the names in the list, and similarly spelled surnames, revealed other relatives as well. You can read more about city directories for genealogy research and find some free places to locate them online in this article. Birth announcements, marriage announcements, obituaries, community events and the community notes section can all be places to find your ancestors’ parents names. Newspaper research requires a special kind of dedication and it may take some time for you to learn the tricks if you have never attempted to use this resource in your family research before. The first step to locating your ancestors is to find out what newspapers were being published in your family’s community during their life. Do to so, try looking on local historical or genealogical society websites. If you are researching in the USA use the Chronicling America database to find out what newspapers were being published. Chronicling America offers many of these papers online for free as well and others can be found through their own individual archives online or via various online newspaper archive collections. You can locate free newspaper collections here. Remember that when you are searching newspapers you need to be flexible and use the tools available to widen or narrow down your searches as needed. Use keywords intelligently and learn what special options are available to complete advanced searches. Finding people in an old paper is seldom as easy as typing in a name and hitting search — you will have to dig, but the rewards are very often worth the time. 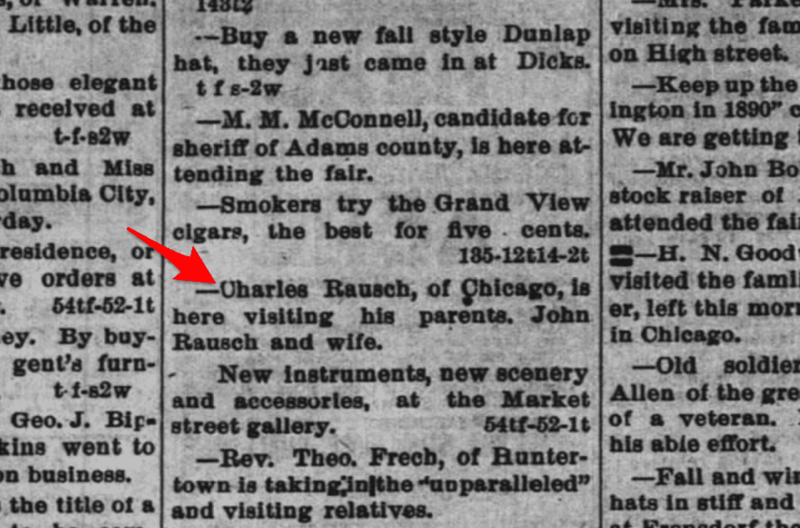 This local “nuggets” section from an 1890 Indiana newspaper shows an example of how parents can be found in unexpected places. Although this listing only provides the father’s name, it is enough to set us off on the right path. 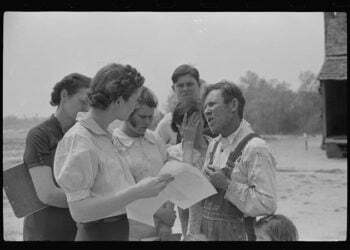 Especially if you are researching ancestors pre 1900, land records can be your ticket to a parental connection. Sometimes parents are mentioned during land transfers within families or they owned land nearby. If parents cannot be found, siblings or other relatives might be listed. These people can lead to the parental information you need. General Land Office Records from the Bureau of Land Management is a great place to start in the US. You can read about their free online collections here. 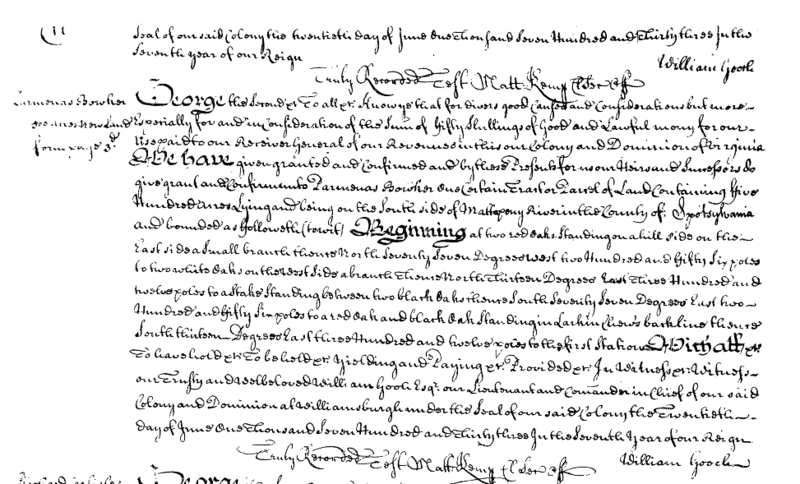 Some individual states also offer land records online, such as this large collection from the University of Virgina. Look for additional records for your ancestor’s region by searching for historical societies, state libraries and other archives online. As with newspapers, this type of research can require a good deal of time and effort, and more than a bit of creativity. But if you are stuck trying to find parents you may be able to break through with a land patent or grant. Note that many land records can be difficult to read — take the 1733 Virginia Land Grant seen below as an example – so take the time you need to familiarize yourself with these records, and old handwriting, before diving in. 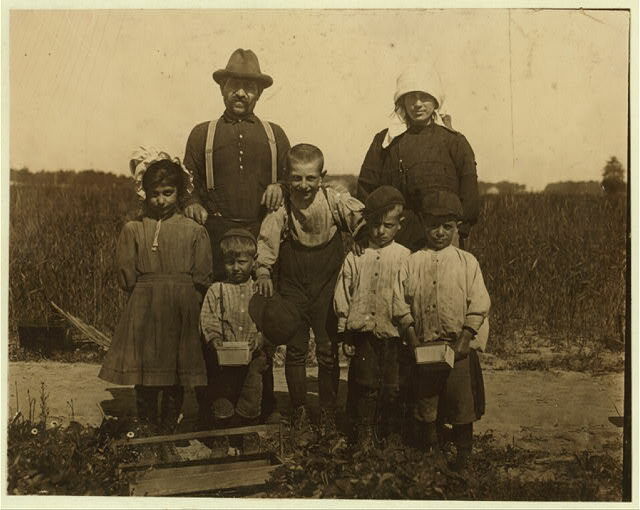 We recently wrote about the importance of using old family books in family history research. From published pedigrees to town histories, old texts can sometimes provide generations of names for you to follow up on. You can read about how to use old books for genealogy research, and where to find them for free, right here. Just remember to always verify the information found in these texts since mistakes were often made. This pedigree of the Adams family was found using The Digital Public Library of America, a free resource. Most importantly, get to know the records of the area you are researching so that you have a wide selection to choose from when tracking down parents. Use the FamilySearch Wiki collection and other helpful free online resources to educate yourself. Don’t limit yourself to those more common records, such as birth, marriage and death, or you may find you develop a brick wall you have a hard time breaking down. Your tips are worthwhile for censuses taken after 1850, when every member of the household was named. They’re also worthwhile for records kept after the beginning of the 20th century, when maiden names of women started being recorded. However, these tips are worthless for finding anyone in the 19th century or before, especially women. 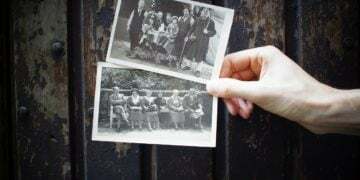 Parents weren’t necessarily alive when their offspring got married, and many children were sent to orphanages if biological family couldn’t or wouldn’t take them. It would be quite beneficial if the entire picture were painted, rather than try to make people look for records that may not be able to be located. 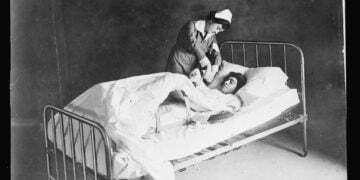 I forgot to mention that birth, marriage and death records didn’t begin being kept until 1906/07, with some states States failing to completely until almost 1920! So, again, these records are not going to help in finding parents names for anyone born before 1866… Better luck finding a family Bible! My maternal great-grandfather had always clamed that his father had changed his last name when he immigrated to Canada and he never knew if his father changed it in Canada or before he left Scotland. The family is stumped. I retired from the US NAVY in 2005 and had to give the Navy about 5 DNAs, is there anyway I can get their results? I enjoy your articles. Here’s a dilemma for you: We had a DNA test to find our original “Russell” line. He was one of the original settlers of very early Massachusetts. I can only go back to 1818 for the last ancestor I can find on Ancestry.com. That’s a two hundred year span!! Is there anyway to find the ancestors in between? From my mother who is the researcher in our family: surname Tanner often written or misread as Farmer on old handwritten censuses. Who knew?! * would like to find my dads first wife. Only he had 3 kids that are my family. But I don’t know his first wife’s name how would I find out his wife’s name??? Please help if anyone can. If the marriage is in the United States, the Divorce / marriage records should be public record. After you get a name you can take it and delve in to google search. Don’t dismiss a one month membership to white pages. Usually if you decline the original membership they’ll haggle with a counter offer trial membership for a better offer. Don’t forget to cancel. You can then use the records to find addresses and phone records, related people. Associated names etc. use social media etc. it’s probably not the best method but I’ve used it to find people in the past. Of course you should respect people’s wishes if they don’t want to be contacted. My paternal grandfather was well documented. The info I have posted is accurate since he actually lived with our family. The names of his parents-impossible for me to find. He was a British subject who was born in Frankfurt Germany according to list. He was sent to London at the age of 10 years. Someone was to take care of him; instead he was living in St Olave’s Workhouse until he was approximately 13 years. He had no memory of his father and mother names. However in Germany he did recall to my father that the family name had the prefix Von added to Wight. As everything in Pinterest is American it would be nice to have genealogy that is Australian. Very hard to use these posts. Is there any place where you can enter your information and have it go out to other researchers to see if they have any insight? SOME places (I THINK “ROOTSWEB”) have lists of surnames you can subscribe to (free!!). Some are surname oriented, and then within that surname (I THINK…. it’s been a LONG time since I’ve used them, so may not e 100% accurate!) 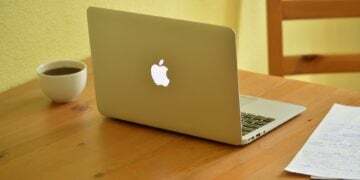 you can further specify and area, or age or other identifying information within that surname. you have the choice to be notified by email whenever ANYONE posts on the line, or just go back and look/search yourself. also, I would try each county to see if they have a genealogical society website. Some people may just post locally. Do you have a local genealogical society (perhaps check with your library)? There are sometimes people who volunteer to help you. Feel free to contact me if I can be of assistance ~ I’m not an expert by ANY means, but will be happy to help you ~ “[email protected]” (if you email me, PLEASE type in “GENEALOGY HELP” in the subject ~ I get a TON of junk emails I’m trying to cancel, but that would help me not to overlook yours!) Thanks and good luck!! Peggy I’m having a devil of a time trying to locate my grandmothers grandparents. grannys mother was Mary Angeline and she lived in Arkansas in about the 1870s. she was married to Luther sanders. Great advice but I always come across a brick wall in my searches as I’m adopted and therefore the law prevents me from getting information, I was adopted in the late 50’s, have you any advice for me please? Take a DNA test, if you haven’t already. I was adopted in New York which has the most restrictive adoption laws. Check with your state often because many states have enacted new laws easing restrictions. I also was adopted and having considerable problems finding relatives. I would add probate records to this list as spouse and children are often named and relationships specified. Married names and/or spouse names of daughters is also given which can be helpful as well. Good suggestions, but not as helpful for tracking down ancestors who were born in the late 1700’s-early 1800’s and pioneering in Ohio, Indiana, Illinois, and Iowa. 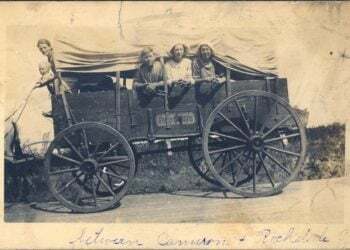 These families often moved further west every few years and may have been missed by the census, plus census records prior to 1850 listed only the head-of-household’s name. Many of these mysteries will probably never be solved and it is frustrating!!! Great information! I have tried them all too, without success. My ggrandfather’s father is listed as 3 different names on 3 different “official” documents (1st marriage, 2n marriage and death cert.)! So frustrating! I think I have tried every single thing mentioned but it’s led me down the garden path, that’s about it. It’s the time frame and the location. Found a death notice in the paper, 1881 and then an obit and it’s not helped. Dulcina Thompson (Farr) lived with her son George (Otsgeo county) and the obit said she was widow. 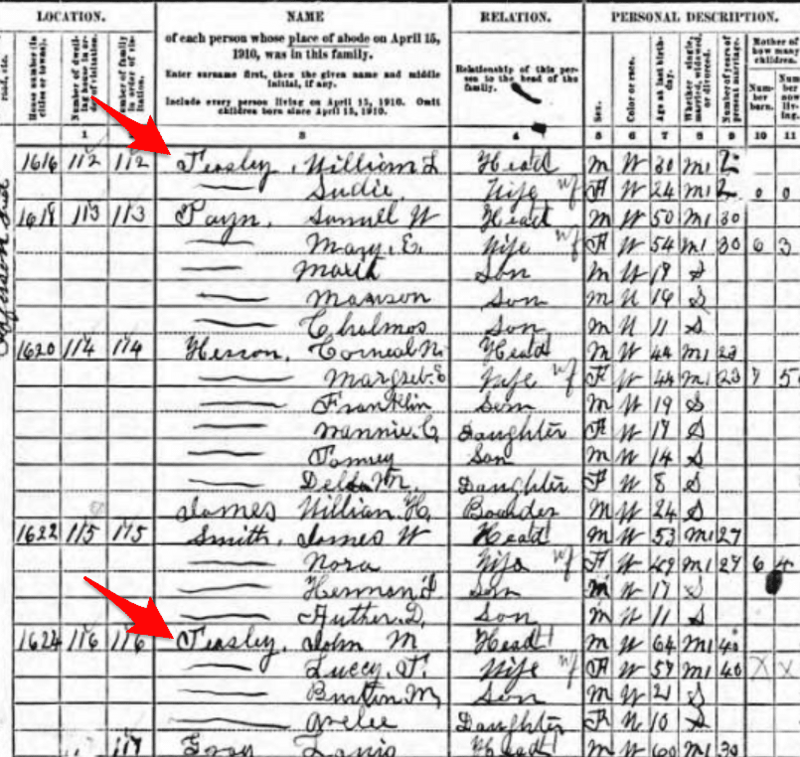 Dulcina and Daniel are on the 1880 census, so then you know that Daniel died between then and her death date, May 10th.. Can’t find where she is buried, can’t find Daniel and can’t prove the parents names. Daniel was born in 1800 in New York, I believe his father is Daniel, BUT I can’t prove. 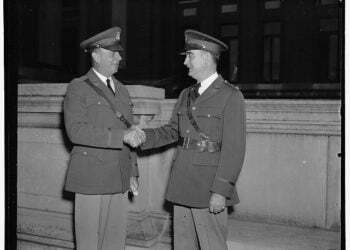 I tihnk Dulcina’s father was Salmon/Solomon Farr but I CAN’T prove it.. I think I’ve tried everything possible, but Daniel and Dulcina do NOT want to give up the ghost! While not common until the 1920s-30s and usually only containing the names of prominent townfolk (or those who wanted to be prominent), I have found a wealth of information in Who’s Who books. I hunt for them at FoL sales, garage sales, flea markets, and used book stores. Several years ago, I published several bios on genealogy message boards for other researchers. CAVEAT: The bios contained in this resource were often written by the bio subject themselves. But they often contained the wife’s maiden name, their children’s names, where they went to school, and where they grew up. Nonetheless, these can be a great springboard when you can find them. I have had luck by omitting letters in a surname or reversing letters. I searched for a couple of years for a marriage record. Armstrong was spelled Amstrong and finally I found my record. PS spelling error in post – should be due to not do to.